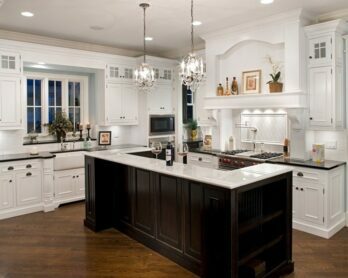 For many families, the kitchen is the hub of the home. It’s the place where meals are prepared, lunches are packed, mail is sorted, weekend plans are tracked and guests are greeted. 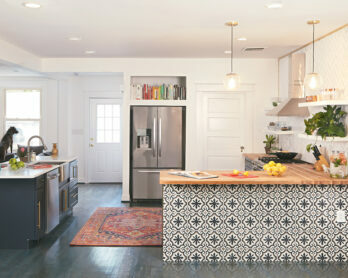 With so much going on in this one room, a little organization in the kitchen can go a long way toward creating a happier household. 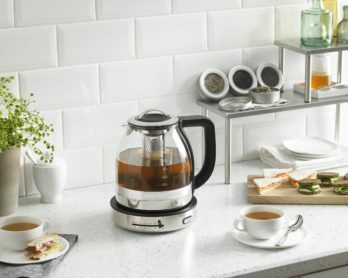 When organizing your kitchen, it’s important to think about your routines and what you spend the most time doing in the room. That way, you can create a system that works with what you already do. 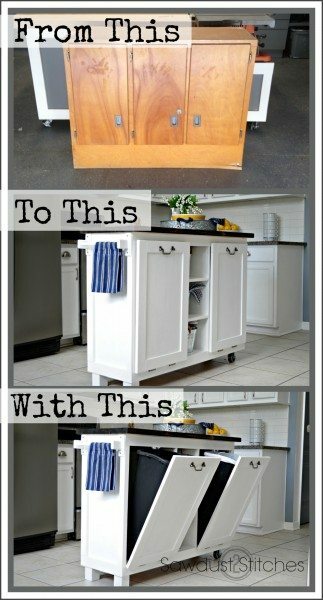 Also, don’t be afraid to alter various aspects of your kitchen organizational system if you find that they aren’t helping. Remember, organization is a work in progress. 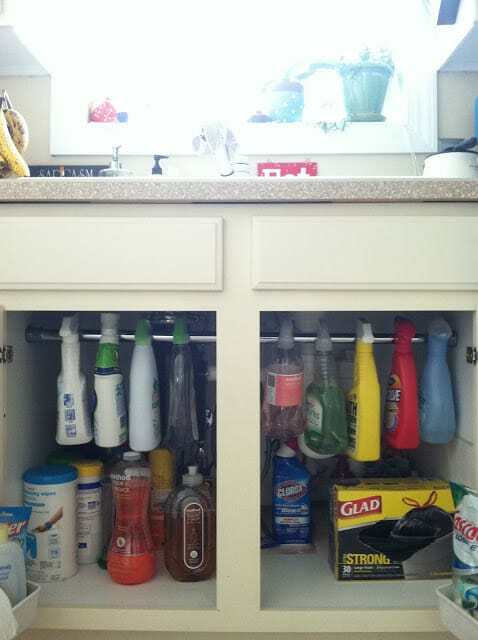 The following tips can help you get on your way to a more orderly kitchen. 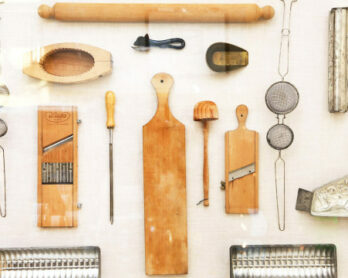 Hang a canvas apron with multiple pockets on the wall or back of the pantry door to store a variety of kitchen utensils. 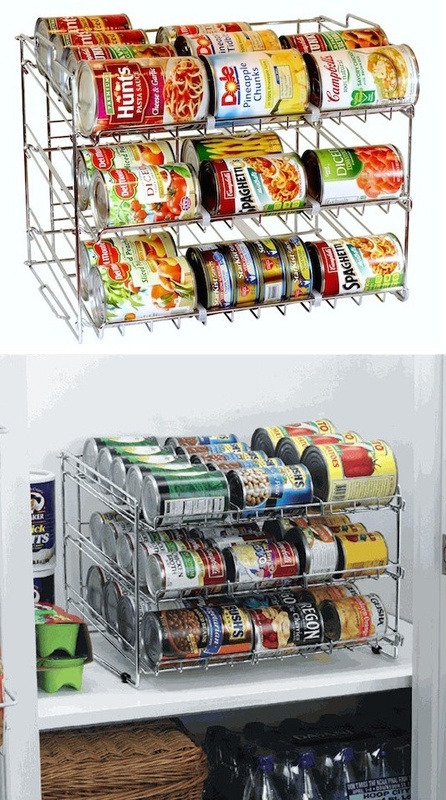 An over-the-door shoe organizer can serve the same purpose. 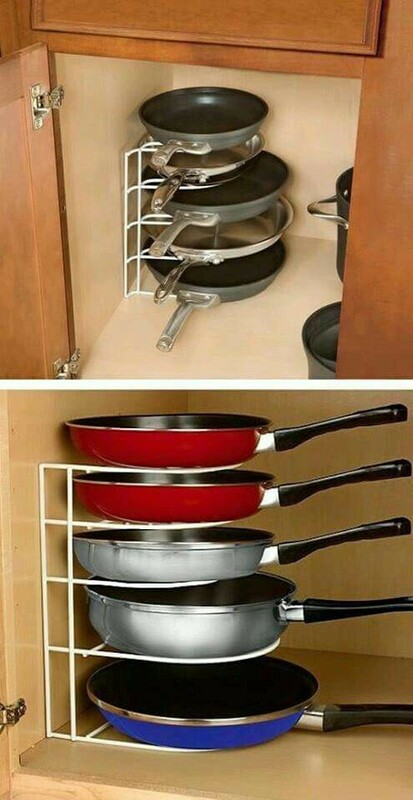 Save shelf space by hanging your mugs on small hooks underneath cabinets. 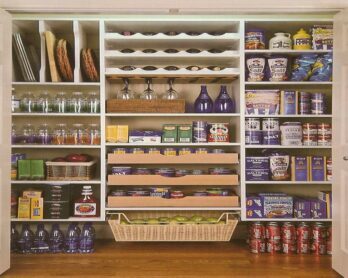 Place a lazy susan or two on pantry or cabinet shelves to keep your stored items easily accessible. 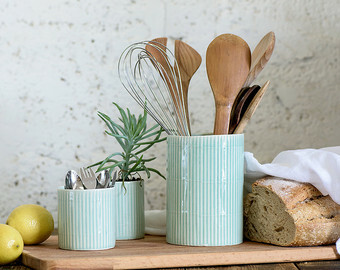 Use low baskets or trays in utensil drawers to keep kitchen gadgets sorted. Your countertop canister set can make a great hiding place for smaller items like cookie cutters, measuring spoons and other miscellaneous utensils. A plastic crate turned on its side (with the opening facing out) can make a great storage spot for plastic lids – you can easily flip through the lids to quickly find the one you need. Use a desktop file holder to vertically store plastic cutting boards and metal baking sheets. However, store wooden cutting boards flat to prevent warping. 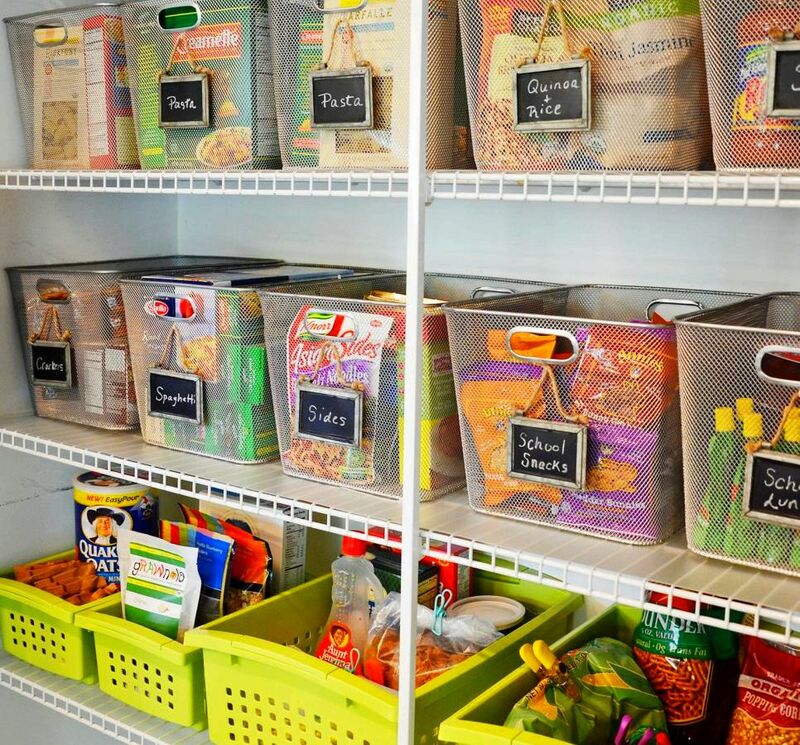 Store like items together – mixing bowls on one shelf, baking pans on another, canned goods in one section of the pantry, rice and pastas in another and so on. 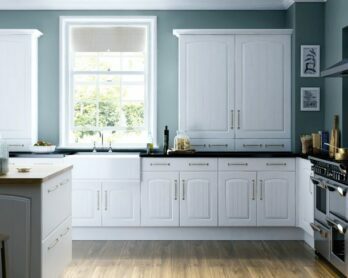 Keep small baskets in the cupboard or pantry for storing small packets of seasonings, gravy mixes and the like. You can quickly pull out the whole basket to find what you’re looking for. Place essential and often-used cooking utensils easily within reach in a crock or large jar by the stove. The tools you don’t use as often can go in a less accessible drawer. Tape a list of the contents of a cabinet on the inside of the cabinet door. Such a list is especially handy for indentifying objects on shelves you can’t easily see or reach. Placing ice cube trays or egg cartons with the lids cut off in the kitchen junk drawer make it easy to organize small items such as thumbtacks, paper clips and screws. 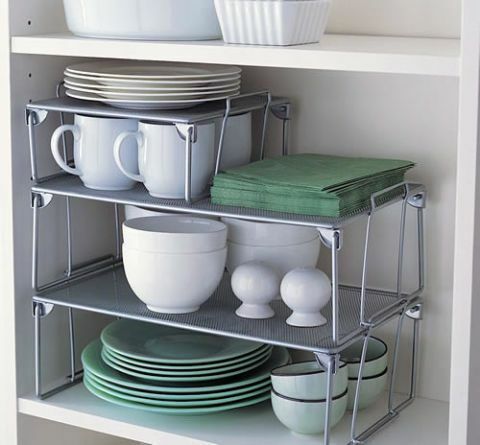 Plastic dishpans are helpful for storing items on low shelves in the pantry or cabinets. The plastic containers slide in and out like a drawer. Keep a decorative basket on the counter or near the door for collecting loose everyday items such as keys, mail, glasses, coins, etc.